With vast experience and knowledge we are involved in manufacturing and supplying a wide range of Folding Wall. These are manufactured under the strict guidance of our highly skilled professionals that ensures its high durability. Moreover, these can be availed at market leading prices. 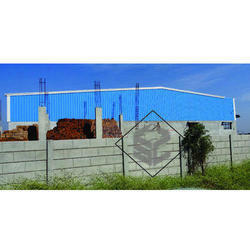 We manufacture compound walls which are done using natural stones to making RCC Ready Made Folding Compound Wall. These Compound Wall are available in different sizes and are used as in place of conventional bricks or stones used in the construction of houses and buildings. 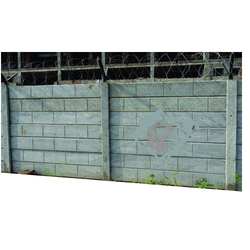 We manufacture compound walls which are done using natural stones to making Fencing Wall. These compound walls are available in different sizes and are used as in place of conventional bricks or stones used in the construction of houses and buildings. We manufacture compound walls which are done using natural stones to making Concrete Folding Ready Made Boundary Wall Compound. These Compound Wall are available in different sizes and are used as in place of conventional bricks or stones used in the construction of houses and buildings. We manufacture compound walls which are done using natural stones to making Folding Wall. These compound walls are available in different sizes and are used as in place of conventional bricks or stones used in the construction of houses and buildings. 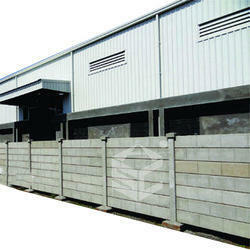 We manufacture compound walls which are done using natural stones to making Pretressed Folding Compound Wall. These compound walls are available in different sizes and are used as in place of conventional bricks or stones used in the construction of houses and buildings. We manufacture compound walls which are done using natural stones to making Pretressed Folding Wall. These compound walls are available in different sizes and are used as in place of conventional bricks or stones used in the construction of houses and buildings. We manufacture compound walls which are done using natural stones to making RCC Concrete Folding Ready Made Boundary Compound. These compound walls are available in different sizes and are used as in place of conventional bricks or stones used in the construction of houses and buildings. 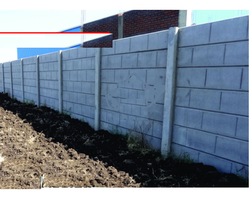 Being the leading names in industry we are involved in manufacturing and supplying a wide array of RCC Folding Ready Made Boundary Wall. Our products are highly acknowledged among our clients due to their rigidity and long life. These are manufactured by utilizing best quality material which we sourced from the trustworthy vendors of the industry. We also assure timely delivery of our products. 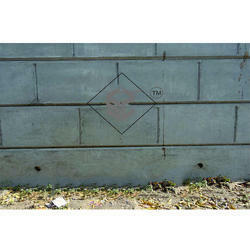 We manufacture compound walls which are done using natural stones to making Y Compound Wall. These compound walls are available in different sizes and are used as in place of conventional bricks or stones used in the construction of houses and buildings. 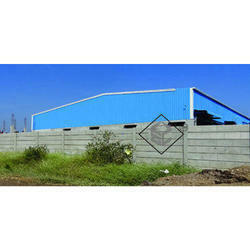 We manufacture compound walls which are done using natural stones to making RCC Precast Folding Compound Wall. These compound walls are available in different sizes and are used as in place of conventional bricks or stones used in the construction of houses and buildings. We manufacture compound walls which are done using natural stones to making Concrete RCC Folding Ready Made Boundary Wall. These Compound Wall are available in different sizes and are used as in place of conventional bricks or stones used in the construction of houses and buildings. 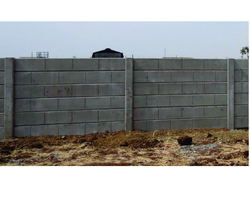 We manufacture compound walls which are done using natural stones to making Folding Boundary Wall. These Compound Wall are available in different sizes and are used as in place of conventional bricks or stones used in the construction of houses and buildings. 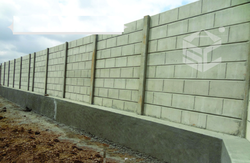 We manufacture compound walls which are done using natural stones to making Pre-Stressed Wall. These Compound Wall are available in different sizes and are used as in place of conventional bricks or stones used in the construction of houses and buildings. 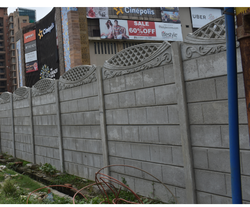 We are one of the leading companies engaged in offering a wide array of Concrete Folding Boundary Wall. We offer these in varied sizes and dimensions as per the requirements of our clients. These are made using fine quality material which we sourced from the certified vendors of the market. In addition to this, these can be installed in a very short time. We manufacture compound walls which are done using natural stones to making Concrete Folding Ready Made Boundary Compound Wall. These Compound Wall are available in different sizes and are used as in place of conventional bricks or stones used in the construction of houses and buildings. 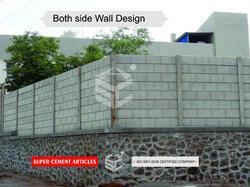 We manufacture compound walls which are done using natural stones to making Concrete Folding Ready Made Boundary Wall. These Compound Wall are available in different sizes and are used as in place of conventional bricks or stones used in the construction of houses and buildings. We manufacture compound walls which are done using natural stones to making Concrete Folding Ready Made Wall Boundary. These Compound Wall are available in different sizes and are used as in place of conventional bricks or stones used in the construction of houses and buildings. We manufacture compound walls which are done using natural stones to making Concrete Folding Ready Made Compound. These compound walls are available in different sizes and are used as in place of conventional bricks or stones used in the construction of houses and buildings. We manufacture compound walls which are done using natural stones to making Concrete Folding Ready Made Wall. These compound walls are available in different sizes and are used as in place of conventional bricks or stones used in the construction of houses and buildings. 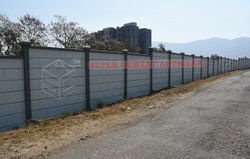 We manufacture compound walls which are done using natural stones to making Concrete RCC Folding Ready Made Wall. These compound walls are available in different sizes and are used as in place of conventional bricks or stones used in the construction of houses and buildings. 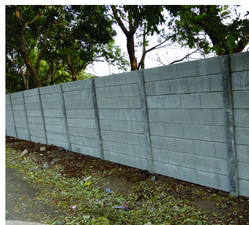 Enriched with long years of experience in the industry, we are engaged in offering an extensive range of Folding Concrete Boundary Wall Compound. These cups are manufactured and designed by our trusted expert’s team using the superior quality material. Offered products are very reliable and are available in different designs and sizes. Additionally, we also assure to deliver a defect free range of our products in a fixed time frame. 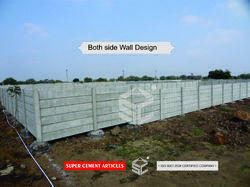 We manufacture compound walls which are done using natural stones to making Folding Concrete Compound Wall. These compound walls are available in different sizes and are used as in place of conventional bricks or stones used in the construction of houses and buildings. 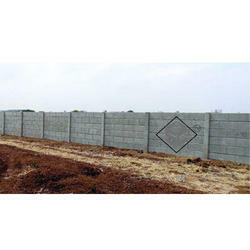 We manufacture compound walls which are done using natural stones to making Precast Folding Compound Wall. These are available in different sizes and are used as in place of conventional bricks or stones used in the construction of houses and buildings. We manufacture compound walls which are done using natural stones to making RCC Concrete Folding Ready Made Boundary Wall Compound. These compound walls are available in different sizes and are used as in place of conventional bricks or stones used in the construction of houses and buildings. We manufacture compound walls which are done using natural stones to making RCC Concrete Folding Ready Made Wall Boundary. These Compound Wall are available in different sizes and are used as in place of conventional bricks or stones used in the construction of houses and buildings. 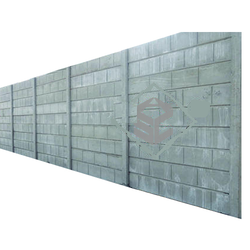 Keeping in mind the diverse requirements of our clients we are involved in offering a wide range of RCC Folding Concrete Boundary Compound Wall. These are highly acclaimed among our clients due to their fine quality and superior finishing. Our products are developed using advanced techniques and latest machinery under the strict guidance of our experts. 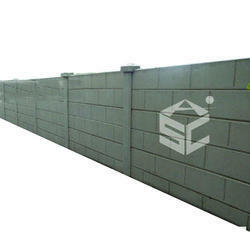 Our company is the prominent manufacturer and supplier of RCC Folding Concrete Boundary Wall Compound. These are highly appreciated by our customers due to their awesome look and excellent quality. Offered walls are manufactured from high-quality materials that are procured from reliable vendors of the market. Additionally, we also assure timely delivery of our products. 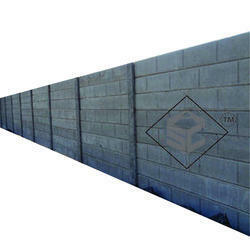 We manufacture compound walls which are done using natural stones to making RCC Folding Concrete Compound Wall. These compound walls are available in different sizes and are used as in place of conventional bricks or stones used in the construction of houses and buildings. 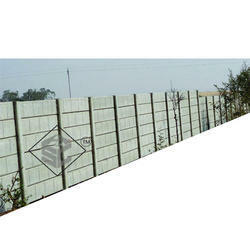 We are enlisted as top company involved in offering a wide gamut of RCC Folding Ready Made Boundary Compound Wall. These are made using superior quality raw material and latest technology under the supervision of our experts. Offered products are widely used in various places and are very reliable. Besides, these are space saving and are available at feasible rates. With a rich industrial experience, we and knowledge we are involved in offering an extensive range of Folding Ready Made Boundary Compound Wall. We offer these in various sizes and designs as per the needs and choice of our clients. We manufacture these using superior quality material and sophisticated technology under the guidance of our professionals. Moreover, these are available in market at economical prices. Looking for Folding Wall ?